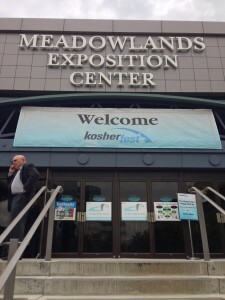 Earlier this week, I was privileged enough to attend KosherFest, the world’s largest kosher-certified product trade show for anyone in the Kosher industry– from restaurateurs, caterers, and supermarket owners to the people who make the industrial sized refrigerators and the labels on your box of cookies. There were hundreds of vendors there all eager to show off their new products, and even more attendees eager to try them out! Overall, the general buzz in the room was positive and exciting and it was a really fun day of meeting & greeting and ooh-ing & ah-ing! 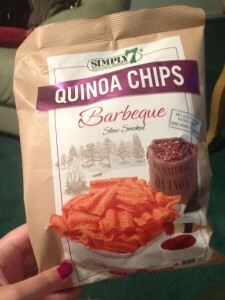 1) Simply 7 – Their Quinoa chips debuted at KosherFest and they come in 3 equally yummy flavors. I’ve been snacking on their lightly salted Hummus Chips for the past 24 hours. These are an easy and tasty snack to throw into your bag on a trip–great for travel! 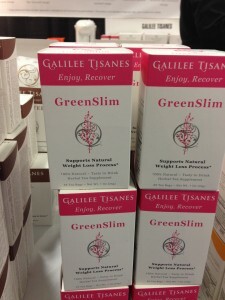 2) Galilee Tisanes Teas – Super cool! These teas are like taking medicine without taking medicine! They have teas to help you maintain healthy blood sugar levels (good for diabetics), maintain healthy respiratory function (good for allergies), an herbal laxative for constipation relief, and even a slimming tea to assist with weight loss! Many times traveling messes with your system, so you can pack these teas in your carry on and have a cup as soon as you get to the hotel! 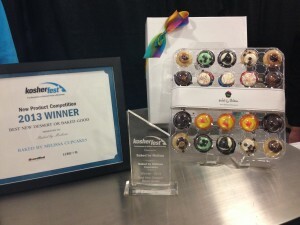 3) Baked By Melissa – These tiny cupcakes are adorable, and come in every flavor imaginable. Aside from being pretty to look at, they taste good too! 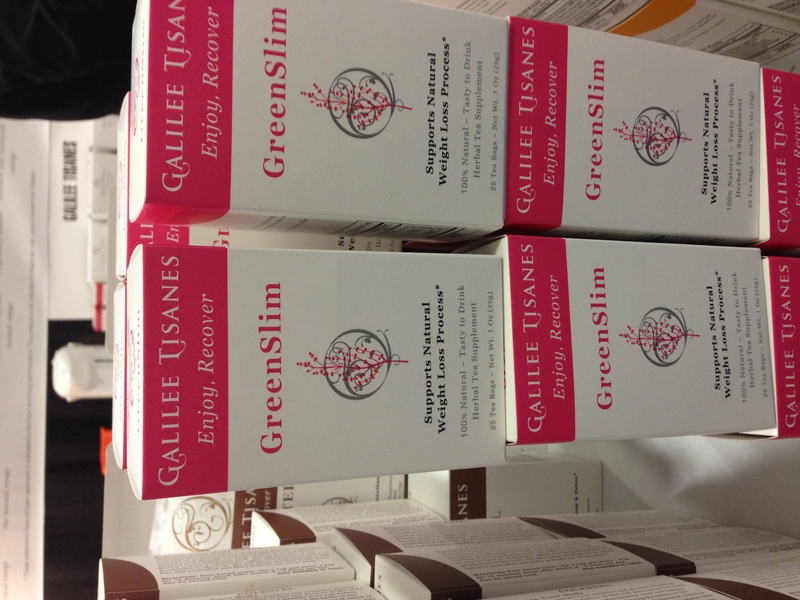 And, they are located in the JetBlue terminal at JFK airport, so you can easily stock up before your long (or short!) plane ride. any kosher food around, even if you are in the wilderness! 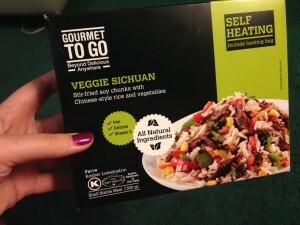 The self heating meals come with a bag that heats up once you add some water to it, no flame or electricity needed at all! Super useful, and being that these things are Israeli, probably super yummy too. 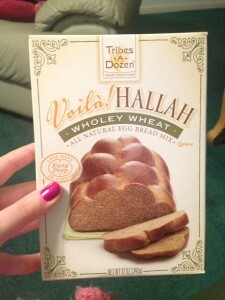 5) Tribes- a- Dozen Voila Challah – This first ever challah mix comes in 3 flavors– Traditional, Wholey Wheat (love that! ), and Simply Spelt. Everything comes inside the box except for the eggs, oil, and water, and it makes either 1 big loaf, 2 medium loaves, or 8 small challah rolls. If you are staying in an apartment with a kitchen over Shabbos and there is no challah to be found, pack a box and bake your own! I can’t wait to try this out before next Shabbos! 6) Matt’s Munchies – these fruit leather snacks are 100% natural, organic, vegan, and gluten free. 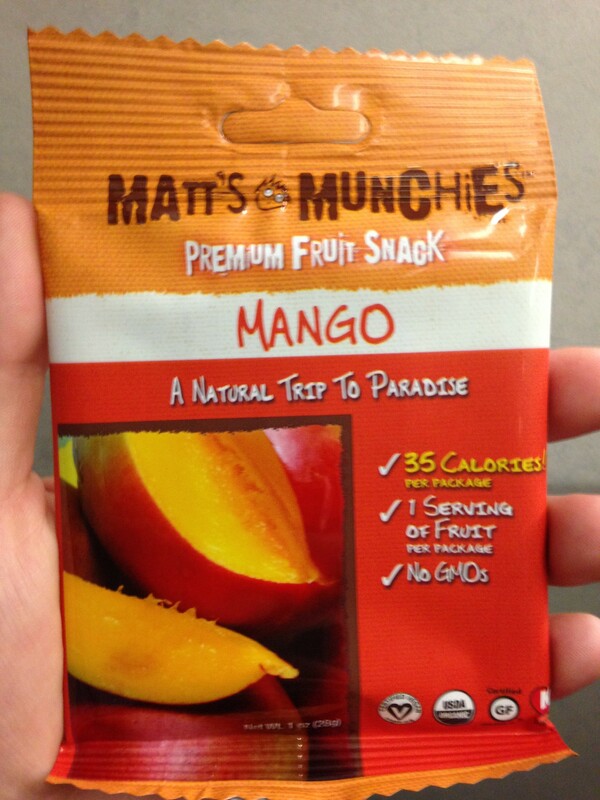 The Mango flavor I tried had just one ingredient: mango puree. Nothing to complain about, especially since it tasted great. Comes in many flavors.